Other claims to fame include being the citrus capital of Turkey, and a respected film and cinema hub. It also proves its countrywide reputation as experts in hospitality in large, all-inclusive and five stars plus hotels scattered all over the region. The restaurant, nightlife and shopping scenes excel as top-class and professional. Indeed, the region is an all-rounder attracting 14 million tourists every year from all around the world, but to get to know Antalya, you must go local. 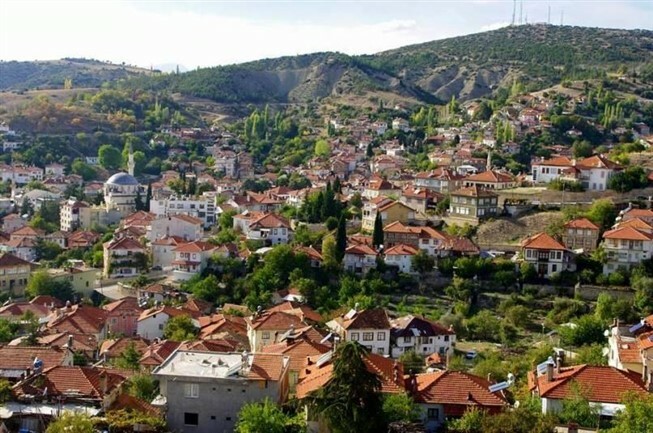 Akseki doesn’t feature on the mainstream tourism scene yet it is growing in popularity among Turks for yayla tourism. 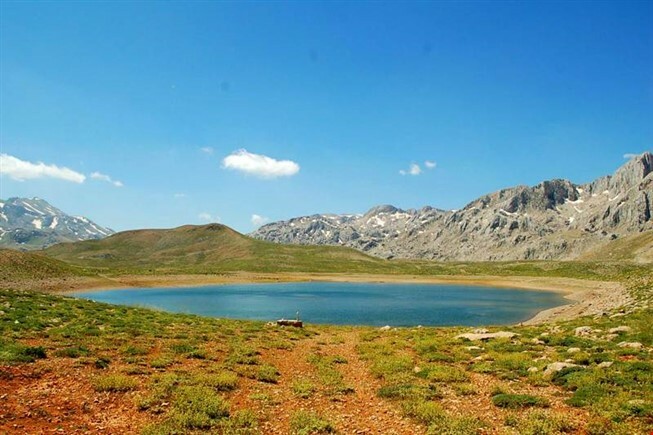 Yayla means plateau and a rural Turkish tradition during summer is to retreat to yaylas for cooler weather. The mountainous district is the perfect antidote place to urban living. Sitting between Antalya city centre and Side, Aksu hosts day trippers who flock to see Kursunlu waterfall and the Perge UNESCO heritage ruins. Agriculture, the other main trade, is a leader in tomato production. The Alanya region is becoming a recognised tourism hub in its own right, thanks to the opening of Gazipasa Airport and local council efforts to promote it. At the eastern point of the coastline, well known historical landmarks in Alanya like the castle and red tower are awaiting confirmation on the UNESCO World Heritage Site list. The city centre is a hive of activity all year round. 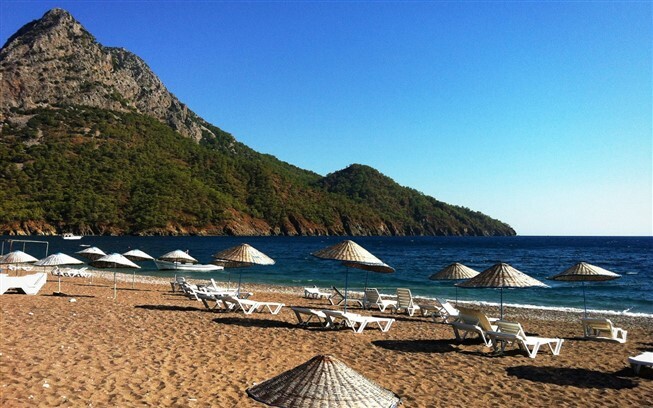 Well-known neighbourhoods include Lara beach, which travel agents nicknamed Turkey’s Las Vegas; Konyaalti beach, which Trip Advisor rates as the best in Turkey. Kaleici, the old town marked by the historical landmark of Hadrian’s gate sits in the Muratpasa district, while Kepez hosts the famous and stunning Duden waterfalls. During summer, this traditional, working town sees an influx of day trip tourists eager to see Myra ancient ruins, of which the spectacular theatre and Lycian rock tombs often appear in guidebooks. At the same time, pilgrims also visit Saint Nicholas’s church, who was otherwise known as Santa Claus. This town’s name translates into pavement, reflecting an ancient road running around it. 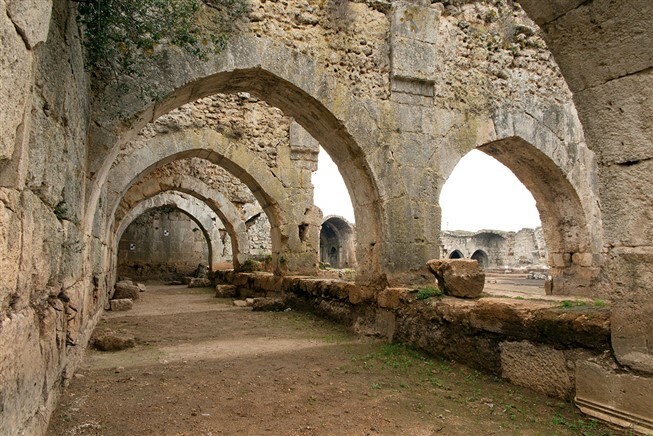 Sitting 20 kilometres inland from the city, Termessos city ruins are its main attractions, but other include Kocain and Karain Caves, and Kirkgoz Han Caravansary, a renovation project in the making. Agricultural Elmali sits inland and is another destination rarely visited by foreign tourists but it has much to offer if you want to discover traditional Turkey beyond the travel guidebooks. Elmali produces many apples sold around the country yet its story revolves around the 1984 Elmali treasure. Found during an illegal excavation, rare coins were smuggled abroad, before being returned after an intense campaign by the Turkish government to reclaim them. 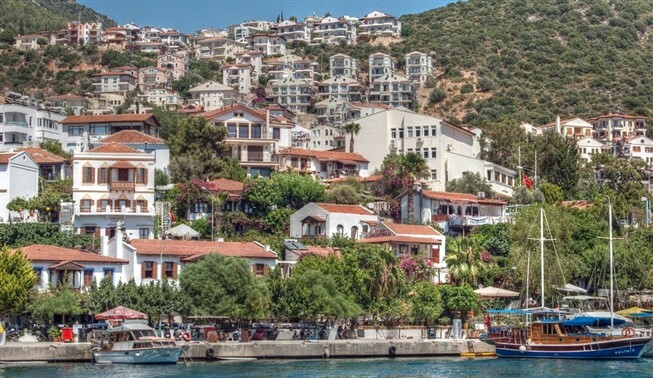 Nestled on the coastline between Demre and Adrasan, foreign tourists often bypass Finike, yet Turks and those sailing the Turkish Riviera love it. Massive orange orchards earned countrywide fame, but other places of interest like Arycanda ancient city are also worth exploring. For decades, Gazipasa lagged behind other coastal resorts for capturing tourist’s attention, but it’s emerging as a tourism hub. Producing oranges and bananas in abundance, idyllic beaches and ancient ruins are attracting both curious Turkish and foreign tourists who want to find out what all the hype is about. As the furthest point from the coastline, remote Gundogmus sits 182 kilometres from the city. Foreigners go there because of the lack of established tourism trade, but breaking down into 35 separate neighbourhoods and villages, Karakoy castle ruins are its main landmark. 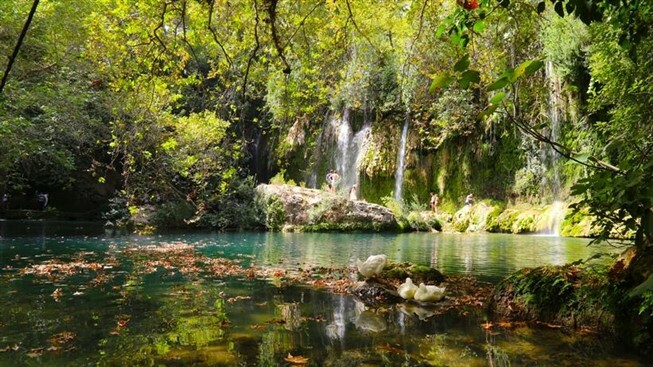 Sitting inland, Ibradi’s main feature is Uzumdere National Park, a protected area on the shores of Manavgat river. Wild goats, partridges and boars and hares roam, and Turks love it for their ritual tea breaks. Expats and foreign holidaymakers love these two coastal towns at the far western point of the coastline. Kas, with its traditional village like ambience is so laid-back, you can’t help fall in love with it. The nearby Kalkan area earned its reputation for high end, luxury villas with stunning Mediterranean views. Kalkan belongs to the Kas district. Kemer has many claims to fame. Cirali, a small coastal resort, has a beautiful long beach and is close to Chimaera burning flames. Other landmarks include Phaselis historical ruins, and Olympus National Park, home to Mount Tahtali of which tourists ascend in a cable car to the summit for a stunning coastal landscape view. European nationalities love Kemer for its large, beach-side, all-inclusive hotels. To try quirky regional delicacies, head to Korkuteli to taste burnt goats’ milk ice-cream, the local dish that surprises people with an exquisite taste. The town, 56 kilometres from Antalya city excels in fruit production, as seen in low farmland, while pine forests and landscapes cover the upper region. At 90 kilometres from Antalya city and neighbouring the Kemer district, Kumluca does a roaring trade in watermelons, one of Turkey's most loved fruits. Meanwhile Adrasan, a sleepy coastal village attracts off-the-beaten-track holidaymakers looking for peace and quiet away from major tourist towns. As another district with many tourist attractions, Side’s ancient ruins in the heart of the old town are its major attraction. 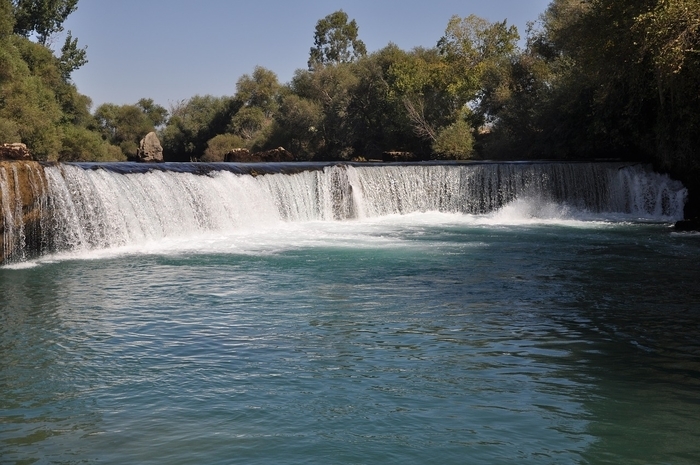 Side belongs to the larger Manavgat district known for its rushing waterfalls. 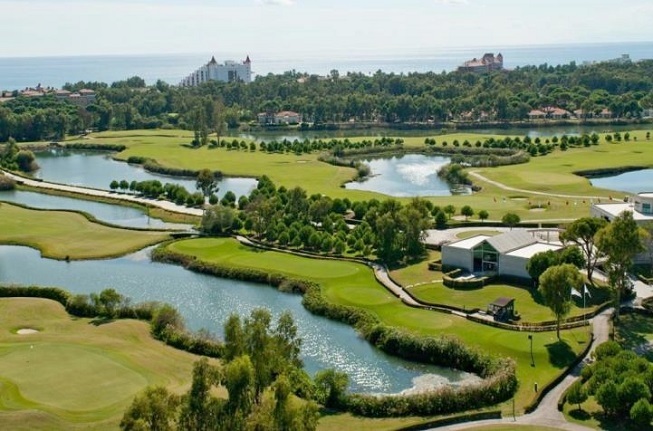 Many districts of Antalya are home to expat communities, who bought property to live there all year round. Holidaymakers of various nationalities also own summer homes or buy-to-let investment properties. If this is your dream, see our wide range of apartments and villas for sale in the Antalya region here.